Pureami Tea Company is a new company founded with the mission of identifying the finest that nature has to offer from its bounty to help improve and extend lives. Affected personally by the steep rise in the incidence of cancer in the United States, Dr. Ken Crawford retired from his anesthesia practice to dedicate his life to finding alternatives to traditional Western medicine in the prevention and treatment of cancer. During his studies, Ken identified the power of nature and the importance of the foods we ingest. In researching four books he became aware of the benefits of polyphenols and, in particular, flavonols. With the king of the flavonols being the molecule Myricetin. His search for a concentrated, natural source of myricetin led him to the discovery of Qing Yun Moyeam Tea. While all Moyeam teas have some level of myricetin, it is only the Qing Yun grade if the tea that is cultivated in a relatively small mountain region of China that is super packed with the molecures that provide the health benefits for which he was searching. Ken reached out to the growers of this tea and reached an exclusive agreement to distribute it to the United States. He then created Moyeam Tea USA, LLC and our management team to bring this amazing tea to the United States and the rest of the world. 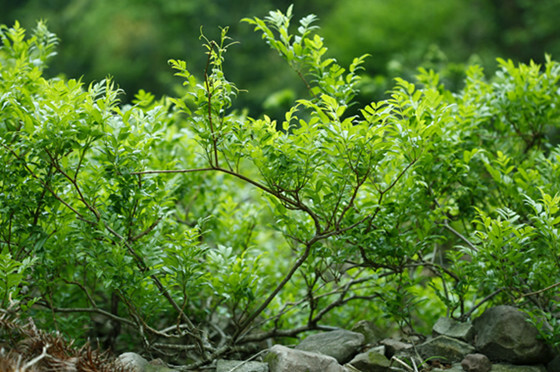 Due to its exceptional nature, we expect Qing Yun Moyeam Tea to always be our "flagship" product. However, Dr. Ken's search continues and he has already added two additional medicinal teas to our product offerings. To more accurately reflect our broad mission and the many teas and products we expect to distribute, we have rebranded our company as Pureami Tea Company. To learn more about his mission to help extend and improve our client's lives, please visit our educational site: www.DrKenisin.com.